Recruiters and hiring managers can improve their talent acquisition with Crelate and learn more industry trends during the NAPS 2018 conference. Crelate is excited to be a Silver Sponsor of the NAPS 2018 Conference, hosted by the National Association of Personnel Services, to be held November 4 – 6 in Bonita Springs, Florida. Our team will exhibit in Booth #16 and demonstrate Crelate’s all-in-one ATS and Recruiting CRM for businesses engaging candidates and clients throughout the talent acquisition process. The annual NAPS Conference is the nation’s premier educational and networking conference for those in the search, recruiting, and staffing industries. With an impressive lineup industry expert speakers and sessions showcasing winning recruitment strategies, attendees of the conference are sure to leave with new tools to grow a stronger recruiting business. This year, Crelate is doing conference swag a little differently! The budget that would’ve been spent on swag is instead being directed to charities that are focused on improving lives through education, training, job placement, career coaching and other supportive services. Visitors who stop by the Crelate booth (#16) will have an opportunity to vote for their preferred charity with their business card or by receiving a demo. The charity with the most votes will receive a donation of $250, 2nd place will get $150 and 3rd will get $100. Participating is easy. We’ll have a jar representing each charity (listed below) and visitors can simply drop their contact details in the jar they wish to support. While Crelate is not affiliated with these charities in any way, we believe in their cause and commitment to improving lives through employment. By visiting the Crelate booth at NAPS, you’ll learn more about our comprehensive recruiting software solution and give back to the talent community at the same time. 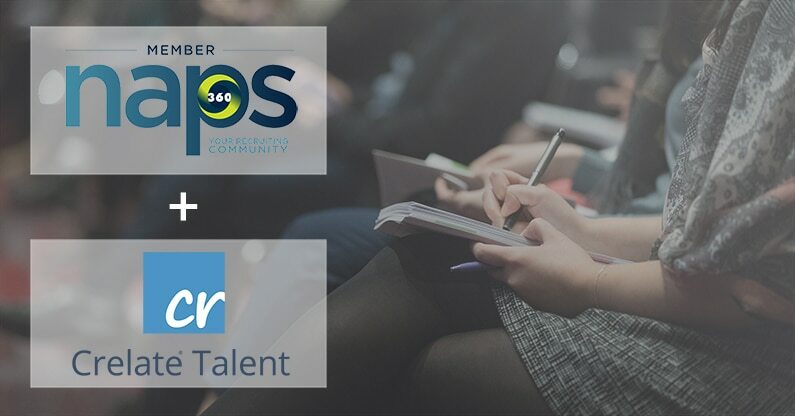 We look forward to seeing everyone in November at NAPS 2018 – don’t forget to stop by booth #16 to support your recruiting business and the talent community!